Home > Audio > What is Section Modulus, S? Executive Summary: One of the most basic properties of a beam is its section modulus. 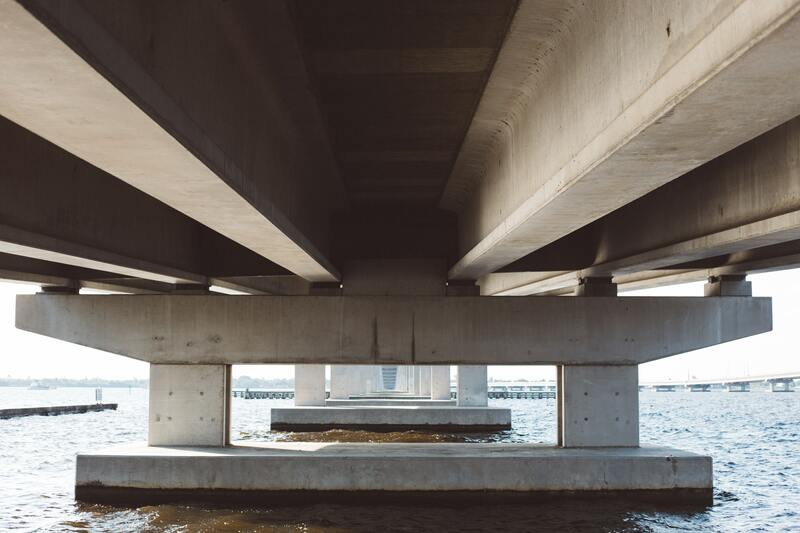 How does the section modulus, S, come into play in structural design? And, why should I care? Does the beam fail? 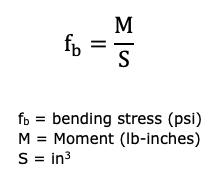 Yes, it does, since the calculated stress in the beam is 2,909 psi and the allowable stress is only 2,100 psi. 2,909 psi is greater than 2,100 psi. The short disclaimer. 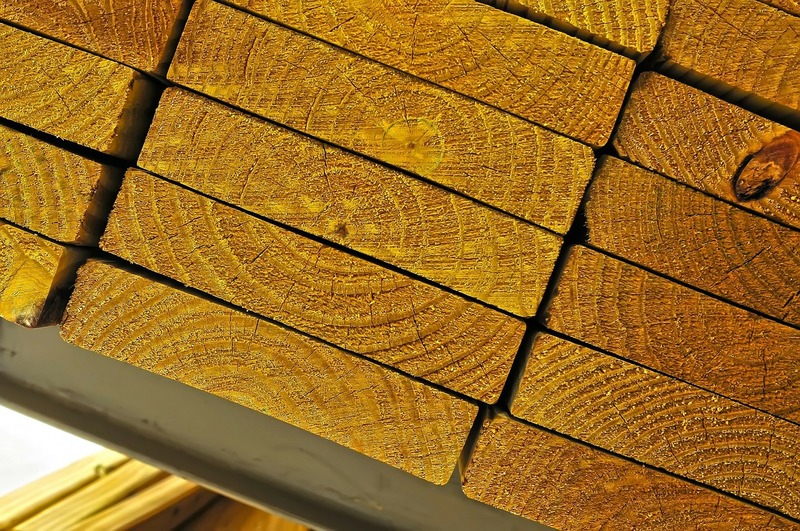 There are many factors which go into the allowable stress of timber. You will notice these many variables on the sheet you were referred to above www.southernpine.com (see Ft, Fv, etc.). There also would have to be some better fixation of the beam at the cinder blocks, to truly model this behavior. This example is provided to give an elementary introduction of beam design. How do I use this information? You use it when you talk to your shoring engineer, your temporary structure engineer, or your in-house staff when you’re trying to buy lumber, structural steel, or sheetpile. You also use it when talking to your client or the engineer of record about structural issues. Having this knowledge imparts confidence in the client that you’re competent as well as sends a message to the engineer of record that you know enough about his/her work to keep an eye on him/her. My Story. The section modulus is a number. It’s a property of a shape – virtually any shape. 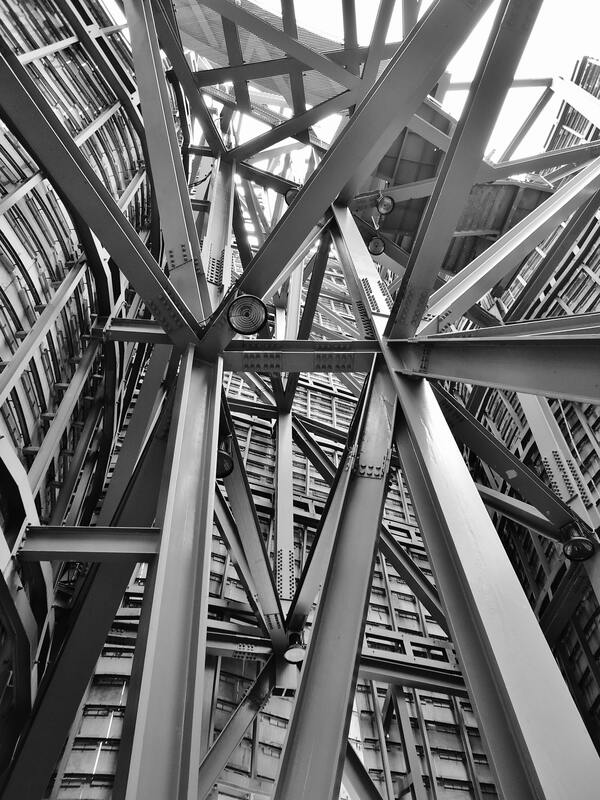 It has nothing to do with timber, stainless steel, aluminum, plastic, or your standard structural steel. It’s just math. Look at its units – cubic inches. That makes no sense, right? However, you see in the calculation that in order to size a beam appropriately, the section modulus, S, is a critical variable. And really, only one of two variables in structural design (the other variable being moment, M). I had a project once where we had to install sheetpiles and the contract specified a sheetpile thickness. The section modulus, S, was way more than we needed to resist the lateral load from the adjacent building and its soil. But we bid it with this sheetpile anyway. Before reading any further, think about how a sheetpile resists load, it’s a beam just standing vertically. The sheetpile is installed vertically in the ground and it is put into bending by the soil acting horizontally. We are concerned about the sheetpile failing in bending from lateral load, so we’re right back to the allowable bending stress of the sheetpile when it’s behaving as a vertical beam. When it came time to build the job, we determined that the load on the sheetpiles needed a much smaller section modulus, S. We chose a smaller sheetpile which saved us a lot of money and still had the needed structural strength to resist the load.